Looking for show coverage for 2011? Try these links! There’s few shows not to miss. One of them is the LA Roadster Show in Pomona, CA. 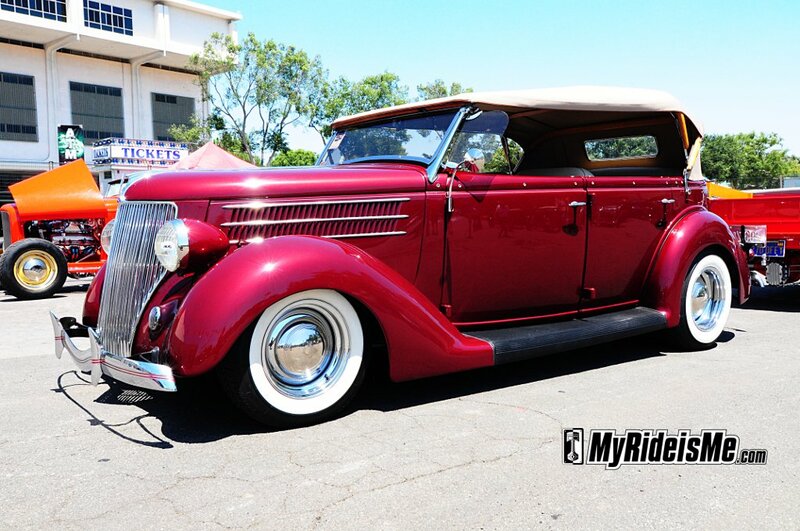 This is the 47th car show for the Los Angeles Roadsters Car Club and this year’s Father’s Day Weekend, June 18th-19th. If you’re planning to attend, you should know about a major layout changes so you don’t get lost on the way in. The biggest change is for spectators. This year, you’ll be parking in the Blue Lot off White Avenue through Gate #9. If you’ve ever been to the Grand National Roadster Show, it’s the same for that show. There’s a bus/trolley available to help you get back and forth, or you can make the short walk through the tunnel. It’s a long walk from the parking lot and the Roadster Show Parking/Vendors area over to Specialty Parking and the Swap Meet so make sure you jump on one of the trolleys provided! Hot Rodders and crusiers of all varieties, as long as you’re PRE-1975, get special treatment at LA Roadster Show. It’s what I call, the “Show within the show”. The variety of cars, shiny or suede, with roofs or open air… whatever, it’s just as entertaining, if not more so, than the Roadster Show itself. 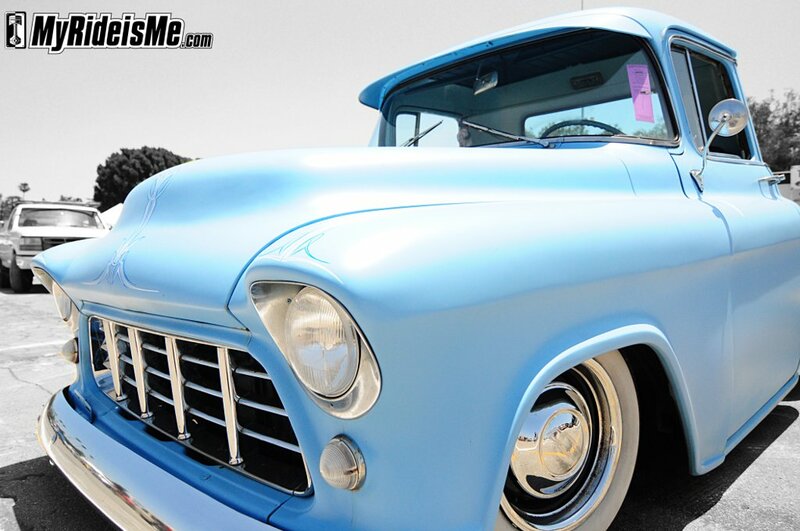 If you’re driving a smooth custom car, classic pickup or ground pounding muscle car… park in Specialty Parking. You’ll pay the standard entry fee and it’s alot shorter walk to the Swap Meet! For Nitro lovers, or should I say everyone with a pulse… there’s a new Cacklefest taking place this year on Saturday at 10:00 am and 2:00 pm in the Specialty Parking area. Swap Meet sellers should enter Gate #15 off Arrow Highway, just like you’ve always done. Move-in is Friday 10:00 am to 4:00 pm, Saturday 6:00 am to 4:00 pm, and Sunday 6:00 am. Folks start lining up at the crack of, “Are you kidding me” AM and earlier, so if you want a great spot, better be up early. The LA Roadster guys have been doing this for a long while, so entering is smooth despite the huge turnout of eager sellers. Bring CASH though! These sellers live near the birth of hot rodding and bring rare and desirable parts, but buyers come from everywhere! Don’t be surprised to hear several different languages including English spoken kinda funny by our friends from Australia. They pre-arrange a shipping container to fill with American go-fast-goodies and pay the same amount empty or full. Feast your eyes on the finest drop-top rides 1936 and older. You might think there’s just hot rods, but I saw a coach built 1932 that’s rarer than a barn find five window deuce! Over 875 roadsters attended last year, so expect a big number this year too. The LA Roadster Show only allows completely finished, glossy paint cars, so if you’re looking for the rat rods, this ain’t it. Roadsters enter through main Gate #1 off McKinley Avenue. That’s just north of the NHRA Museum, another must see while in Pomona. The canopies that offered shade for the vendors last year are gone… to keep buyers and sellers cool, the vendor area hass been moved to Exhibitor Building #4. For GNRS visitors, that’s the main hall where the “America’s Most Beautiful Roadster” competition takes place. With cool, conditioned air waiting for everyone inside and the roadsters surrounding… expect a full house of the best new parts and services to chose from. If you need a map of the new LA Roadster Show layout, click here. 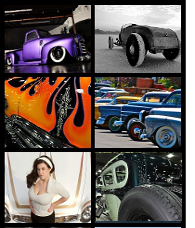 Or anything I miss, head over to the LA Roadster Show home page here. Need More LA Roadster Show Pictures? If you’re going, drop us a note below… we’ll see ya there! See you there! This will be our first time attending and vending at this show. Looking forward to a great time. Stop by and see out booth in the new vendor building! Dan, where will you be? Building #4? I want to make sure we meet! My Dad and I’ll be heading up there Saturday morning for sure! Is there rental golf carts at the site for handicap persons. I have been attending the event for some years now and I had a person who wanted to go, but can’t walk, so they need to rent a cart. Hi Marlo, I’m not sure about renting a cart. I recommend getting in touch with the LA Roadster Show before the show next year. I bet they’d make a special arrangement with you if you’d bring your Target550.com car! I thought the new layout was terrible in many ways. It was always a lot of walking, but this year was really bad. Another thing that I thought was bad, was the lack of crossover asiles between swapmeet rows. I know a guy that had to back his truck up the complete swapmeet to turn around. They also need more porta-johns and to service them better. Thanks for letting me vent. we are visiting ca. for the first time to see the2012 show. Any suggestions would be appreciated. We are staying in orange county and will be driving over sat. and sun. Hi Robert. It’s a pretty long drive from Orange County to Pomona. Even on the weekend, don’t be surprised if you find some traffic. 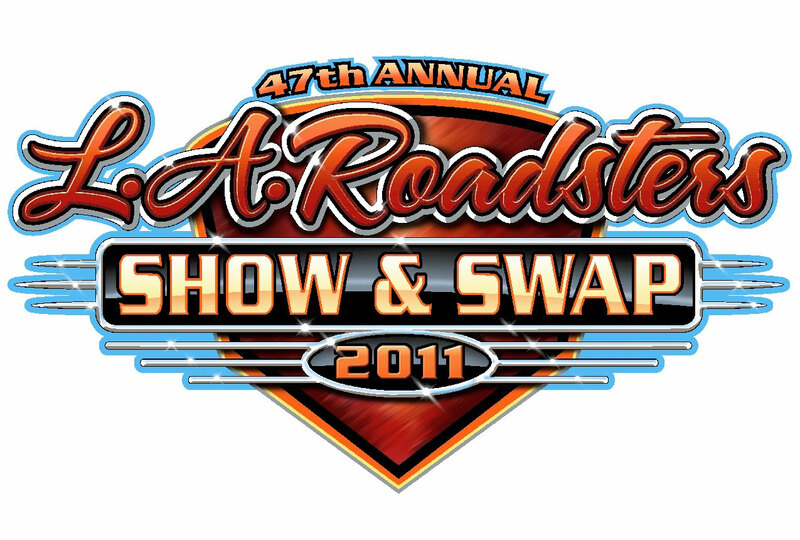 I’m working on 2012 LA Roadster Show kickoff, so stay tuned to see if anything’s changed this year. My only advice, same as last year, is to make sure to spend some time in the swap and seeing the great cars outside the Roadster Show. The fairgrounds are a big place, so hopefully in 2 days you’ll see it all!